There seems to be a trend of putting together apparently arbitrary foods these days. Personally, we’re not huge fans — too many bad memories of our own failed recipes scar us. But that doesn’t mean we’re not curious about trying professionally crafted food combinations. 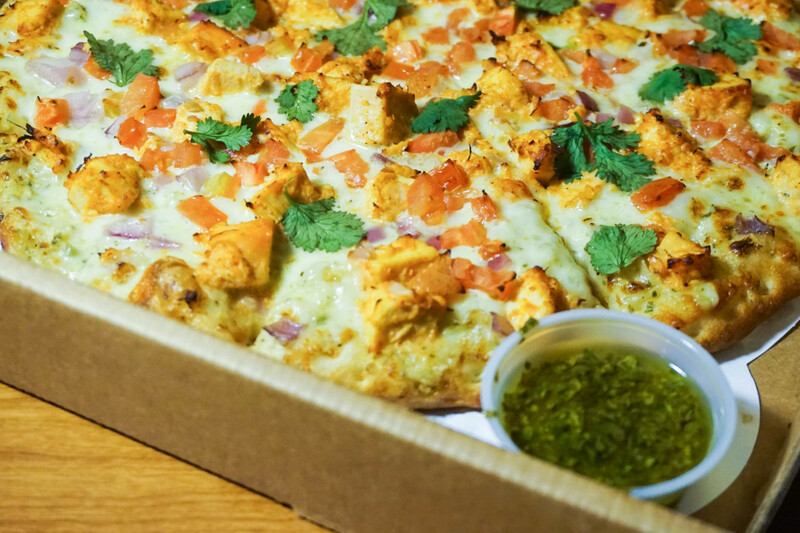 Namaste Pizza, located in Oakland and made available by GrubHub, would undoubtedly win awards for “Most Creative Menu.” Because while, yes, you can still order your vegetable or all-meat pizza, you can also choose between Buffalo or Masala wings and Cheesy Garlic Bread or Minty Namaste Bread. Their pizza selection is just as varied. 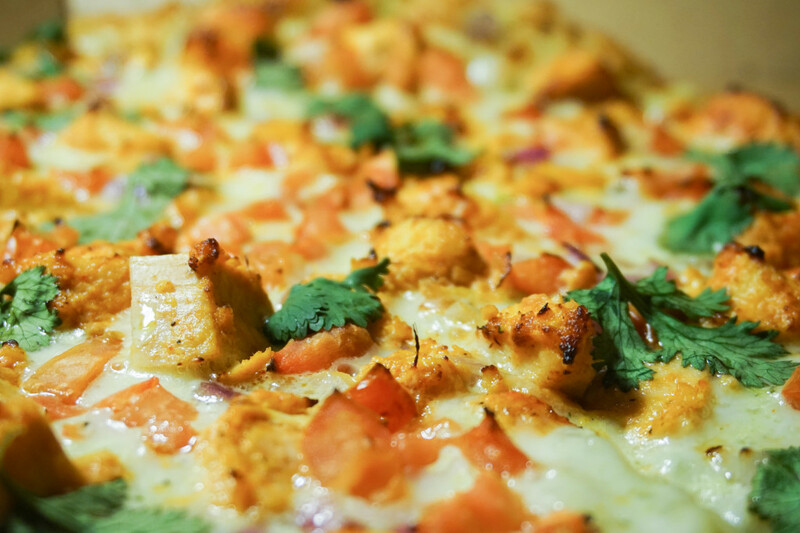 Not only can you order their infamous chicken tikka masala pizza, but you can also opt to try their Tandoorilicious Pizza, Spicy Gyro Pizza or even their Mango Monsoon. As first time orderers, we decided to play it safe and stick with their more traditional (if you can call it that?) 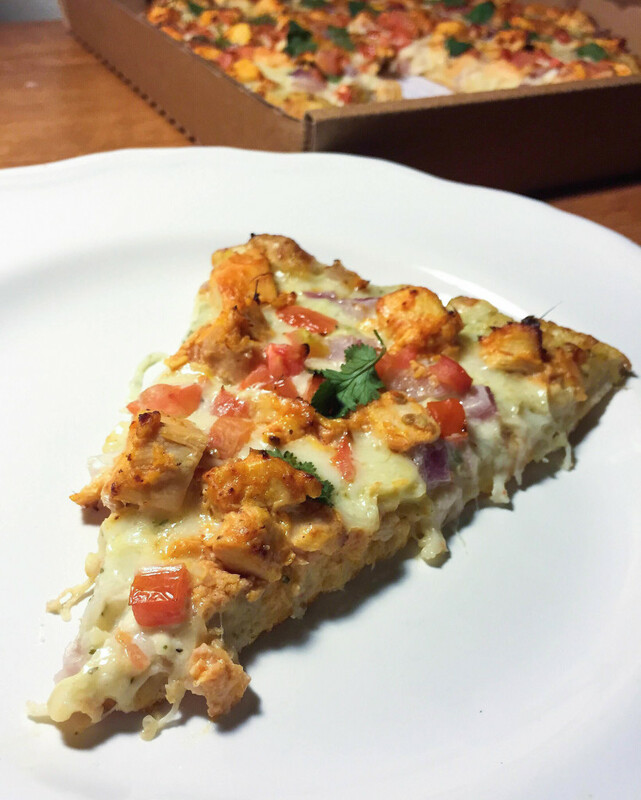 chicken tikka masala pizza, with a side of cilantro lime dressing. 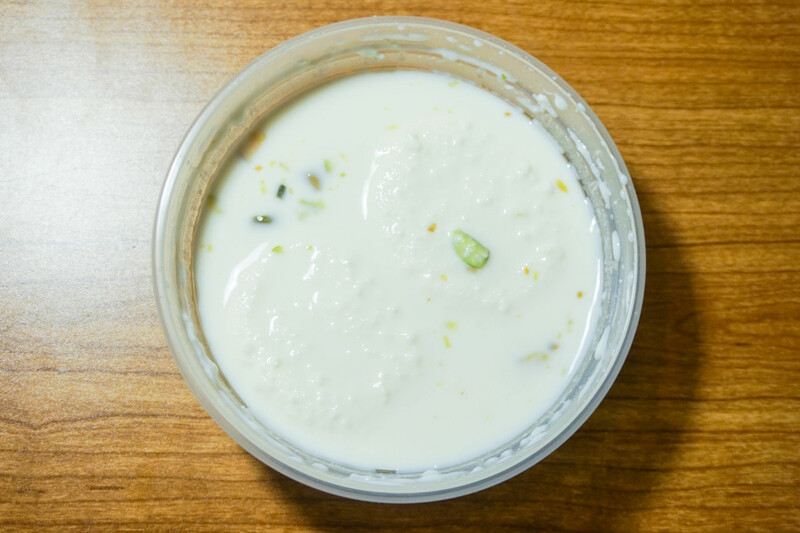 When it came to dessert, we decided to order their ras malai, even though we’d never tried it before — because when you’re trying new food, you might as well go all in. The order arrived a few minutes early (always a good sign), smelled extremely promising and, admittedly, looked like a fairly normal pizza… if you ignored the obvious cilantro across the top. All the toppings sat on a bed of melty mozzarella cheese. Alongside the lightly spiced chicken sat finely chopped pieces of red onion and tomatoes as well as a generous sprinkling of fresh cilantro leaves. Doubtful? Don’t be. It was delicious. We’re not precisely sure how they managed to make such a delicious pizza from ingredients that were, in our minds, meant to be paired with naan, basmati rice or roti, but they did. Every single bite of pizza tasted like curry — not in an overwhelming way, but in such a way that made it distinct and undeniably flavorful. The ras malai, described on their menu as “soft curdled milk cheese in cardamom flavored milk with pistachio sprinkles,” was nothing we could have anticipated. The milk was prepared in a manner that made it taste vaguely alcoholic beneath the hints of cardamom, and the texture of the curdled milk cheese was both grainy and soft. Our dessert selection reminded us vaguely of flowers. 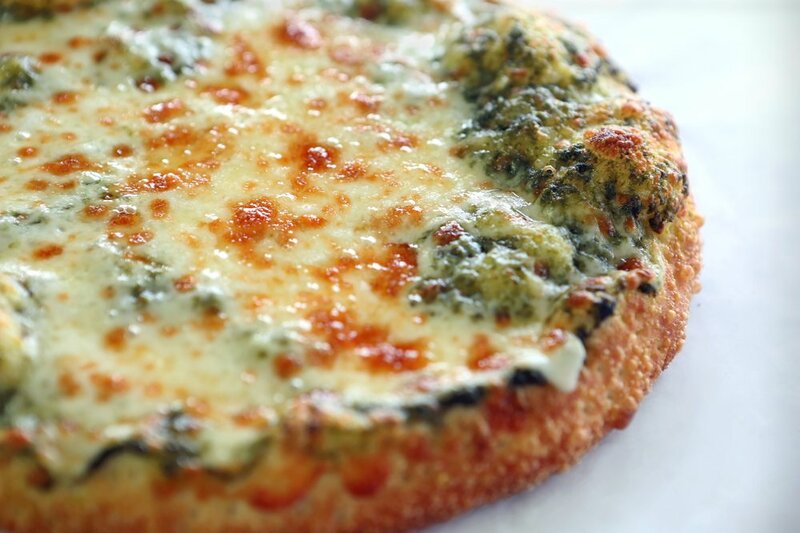 Its stronger base flavor ultimately paired well with the pizza, whose curry flavor (even after adding much of their tangy cilantro lime dressing) remained relatively light. Our final verdict? Would most definitely get again. Although we’ll probably eat our next order of curry with naan, we’re already eyeing that menu, because frankly, the Mango Monsoon (“mangoes, green peppers and onions showered in a medley of Indian chutneys and spices on our original house curry sauce”) sounds way too good to pass.